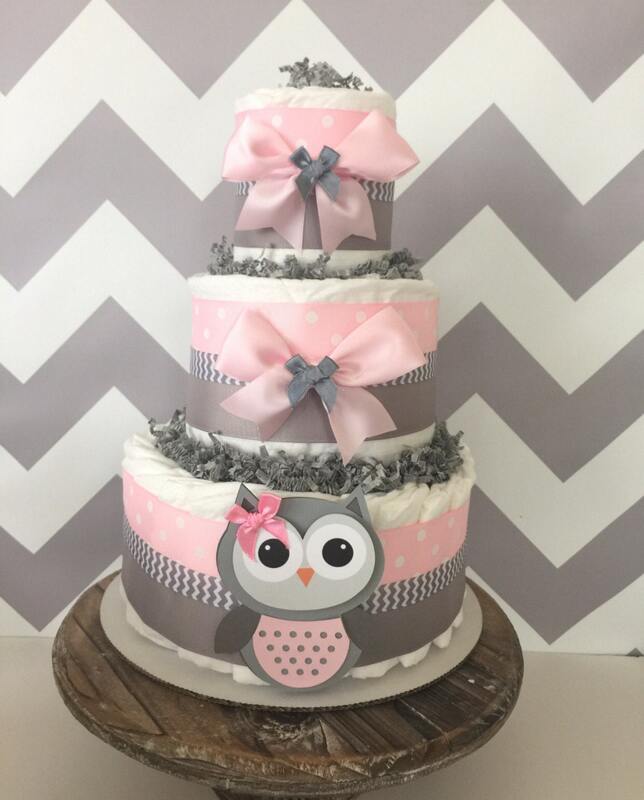 Owl Baby Shower Diaper Cake designed in a popular pink and grey color scheme and perfect for the centerpiece at the upcoming themed party! 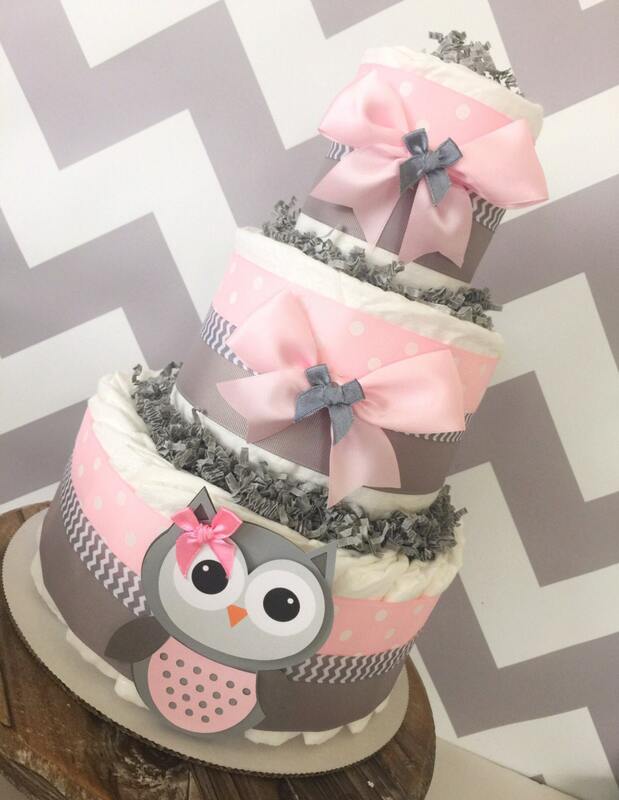 This stylish Owl 3 Tier Diaper Cake is constructed with 3 layers of brand name disposable diapers, quality matching ribbons and bows and adorable handcrafted Owl card stock cutout! Comes beautifully wrapped in white tulle with a complimentary gift card. This diaper cake was everything I hoped it would be. Just so beautifully presented. It came perfectly intact even though the box was dented in delivery. There was enough packing paper to protect it. Everyone thought it was a real cake even after I said it wasn't! Lol. This lady is talented. Perfect and exactly as described. You won't be disappointed if you go with this design.